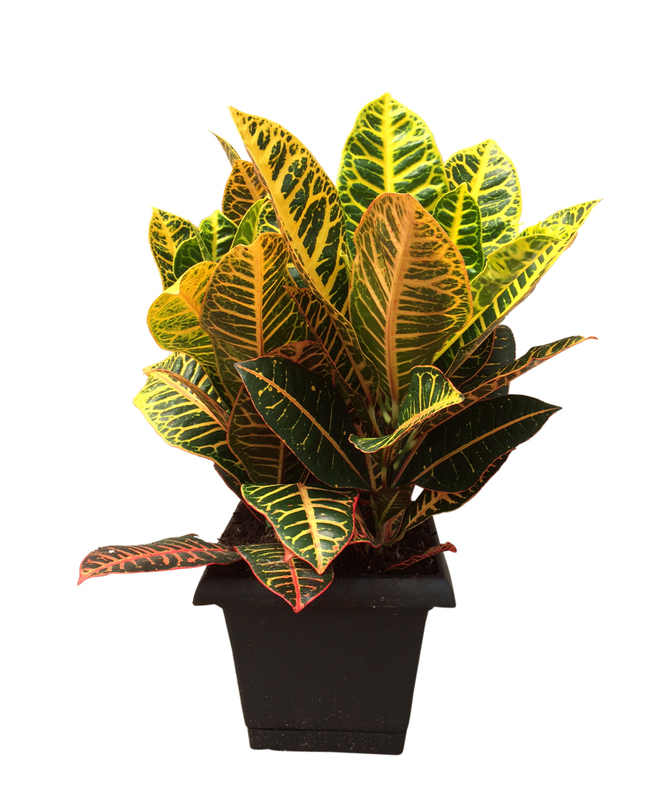 Croton plants come in many variations all generally seen as houseplants. Crotons growing in containers should only get watered when the top of the soil is dry to the touch. This plant likes a warmer climate, so keep away from cold windows and drafts. Also available in 4.5″ and 6″. Dieffenbachias do well as a house plant, thriving year round in room temperatures averaging 65-75 degrees. Dieffenbachia plants do not enjoy temperatures below 60 degrees. The plant cannot handle full sun but does appreciate good lighting, like you would find in a kitchen. Keep the soil moist to the touch. Also available in 4.5″. The Weeping Fig, or “Benji” is a ficus with slender, arching branches that produce dense, glossy foliage. The Benji is excellent for patios and indoor living. Keep the soil evenly moist. Fertilize during active growth. 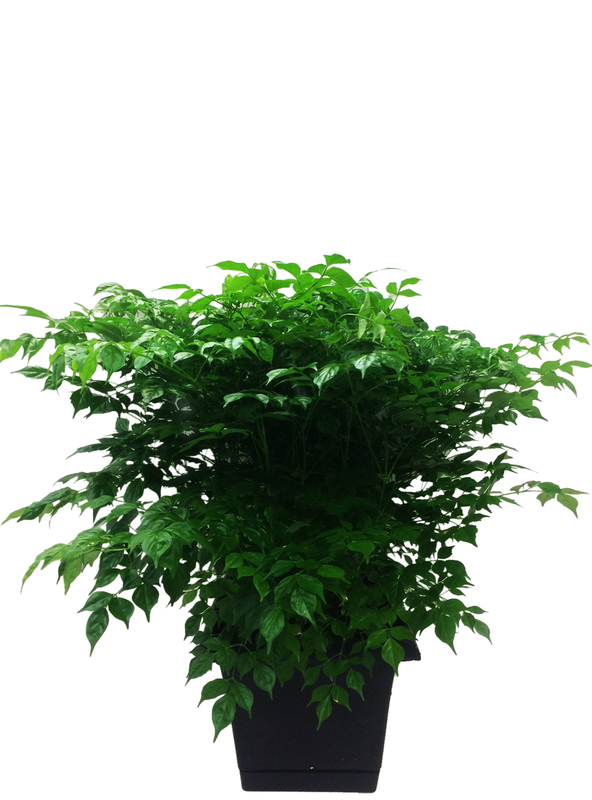 The Ficus Robusta plant needs to be kept moist. Wipe off the leaves of your rubber tree houseplant with a damp cloth or spritz it with water. Be cautious of over-watering, the leaves will turn yellow or brown and fall off. Ficus Robusta plants need bright light but prefer indirect light that isn’t too hot. Place your Ficus Robusta plant near a window that has sheer curtains. This allows plentiful, but not excessive light. Palms are nice houseplants because they tolerate low light and hot, dry air. They are perfect for all kinds of containers. Water thoroughly but allow the soil to dry slightly between watering. Your Philo Hope, or Philodendron, is a classic and practically, no-fail houseplant because it is so easy to grow! This makes this variety one of the most popular/ Water your Philo Hope enough when the soil surface dries. They’re tough plants so they do not mind if you forget to water them now and again. Take care not to over-water your Philo Hope because they will rot if kept too wet. Fertilize twice yearly with houseplant fertilizer. Not for human or animal consumption. The Sansevieria’s beautiful foliage is very easy to care for. It grows perfectly in any container. Water your Sansevieria thoroughly but allow soil to dry slightly between watering. Also available in 4.5in and 6″. The Scheff Amate enjoys humidity but is also does well in dry environments. Keep in medium light, no direct or burning sun. It will also tolerate a lower light level. Rotate your Scheff Amate every now and then since it grows towards the light. A good watering every 10-14 days should do. It needs well drained soil. The leaves will turn black if over watered and kept soaking wet. This easy care plant adds a relaxed, natural touch to interiors. It looks great grown in both containers and hanging baskets. Keep the soil evenly moist. Fertilize during active growth.